The innovative fingerprint-technology used by TagMan creates a fingerprint of every track in your collection and compares it with a big online database. TagMan edits a big amount of music files at the same time. More and more people keep their collection digitally on the hard drive. These collections grow in a fast fashion so you easily loose track of every single song. This is where the TagMan unleashes his real power. He can find information about every song on the internet and add missing data to the files. Tagman 2018 analyses every song in your collection and generates a fingerprint. This data is compared with the fingerprints stored in a big database in the internet. If Tagman finds a match, the missing information is added to the file. Modern media players (software and hardware) are able to show a cover of the album the current track is released on. This cover is also saved in the ID3 tag. Tagman is able to search for missing covers and add them to the songs. Tagman is set up to automatically store changes that will be made in the metadata of songs. You can accept these changes with just one click. This way you can prevent wrong changes in the files. An icon in the list of files indicates whether a change is recommended or already done. Especially in big libraries you simply do not have the time and energy to take care of every single file on its own. 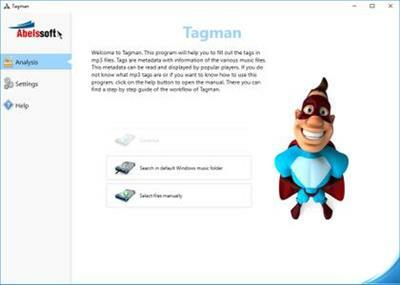 Tagman supports you by editing a huge amount of files at the same time. This way you can accept several changes in the meta information at once.